From the Financial Year (FY) 2019-20, tax evaders are in for a nasty surprise. If your income declarations to the Income Tax (I-T) Department don't support your standard of living, then your life is going to get tough hereon. Are you wondering how the I-T Department will know your standard of living? India's Income Tax Department has an ace up their sleeve. The Department will now integrate your financial transactions, watch your social media activities, and information captured through third-party reporting to get actionable insights from the all data available. What will this mean for non-compliant assesses and tax evaders? The tax department has always been data rich as far as your financial transactions are concerned. However, now the I-T Department can data-mine deeper and use the findings efficiently to identify underlying behaviour trends of honest taxpayers and non-payers. The I-T department's Project Insight will make it nearly impossible for tax evaders to conceal crucial information about their assets, liabilities, income, and expenditures and manipulate the system. Project Insight is powered by Big Data technology. This will not only help identify tax evaders, but it will also ensure the effective implementation of the Foreign Account Tax Compliance Act Inter-Governmental Agreement (FATCA-IGA) and Common Reporting Standard (CRS). The I-T department has made it fully functional and in effect today, 1 April, 2019. How will the I-T Department nab tax evaders? The use of machine learning and data analytics allows the I-T Department to create your comprehensive profile in its database which includes business intelligence, geographic information, asset details, and relationship details, etc. Right profiling will make it easier to understand irregularities in income and expenses, and potentially connect the dots, primarily with asset creation in relation to income. Since the databases and the employed technologies will feed the program constantly, the I-T department can analyse it thoroughly and effectively initiate timely actions against tax evaders. The I-T Department has been working incessantly to curb tax evasion. In fact, it's been following an intelligent game plan since demonetisation and upping its ante with passing time. Hence, we've seen an increase in tax payers and the amount the I-T department has received. If you recollect, the government had launched Operation Clean Money, post demonetisation to create a tax-compliant society through a fair, transparent, and non-intrusive tax administration. In fact, a few months prior to discontinuing the circulation of high-value currency notes in November 2016, the government had entered into a contract with L&T Infotech to implement the Project Insight. It looks like a well-thought-out plan, doesn't it? But wait! Are there any downsides to this? Some experts believe the I-T Department will become more aggressive in penalising taxpayers; possibly resulting in a situation similar to tax terrorism. The I-T Department has, however, denied such allegations. Recently some opposition leaders have criticised the government for bestowing excessive powers to the lowest-ranking income tax officials. Security of data is another concern. Any deficiency in the IT infrastructure and lacunas in security processes are likely to turn up unpleasant results. Any loss or theft of data puts the privacy of taxpayers at serious risk. Also, the feeling of 'being tracked' might make even genuine taxpayers uncomfortable, since the Department is likely to treat all taxpayers and non-payers like 'potential defaulters'. Is there any precedent to prove that such technological facelifts work for tax authorities? As reported by the Economic Times dated 26 March 2019, the tax department in the UK spent £100 million on the implementation of a system called 'Connect', which helped it avoid the revenue loss of £4.1 billion in last nine years. Without the help of Big Data and other advanced technologies, nabbing tax evaders would have become practically impossible for the tax authorities in the UK. Apart from India and the UK, countries such as Belgium, Canada, and Australia have also implemented such projects to improve tax compliance. In India, if the I-T department manages to get more people to comply with tax rules and pay their dues, it will boost the revenues of the Indian government. And this will eventually help the country have more money to spend on development projects. Containing fiscal deficit would also become easy. What will change for the genuine taxpayer? For now, nothing! Since the government has taken the non-intrusive route, the genuine taxpayer should not worry. Nonetheless, it remains to be seen if the I-T Department really manages to continue with a non-intrusive approach after Project Insight becomes fully operational, as it's suggested on numerous occasions. Efficient tax planning can help you to legitimately save tax, not tax evasion. Hence, engage in prudent tax planning right from the beginning of the financial year. Also, keep a check on your spending and what you reveal on social media platforms. PS: A rupee saved is a rupee earned! If you are looking at how you can save your hard earned money from the tax-man, and reduce the tax burden quickly and smartly, download PersonalFN's Comprehensive Guide to Tax Planning (2019 Edition). 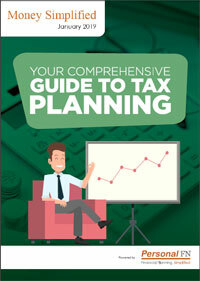 The Comprehensive Guide to Tax Planning (2019 Edition) is absolutely FREE for you. No terms and conditions apply. It is FREE! Equitymaster requests your view! 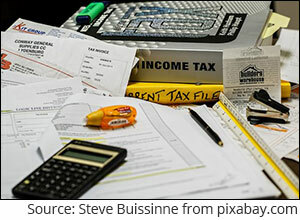 Post a comment on "Evading Income Tax May Soon Become Impossible. Here's Why...". Click here!